Last September, Volkswagen said it was looking for a location in the US to build electric cars. It opened an assembly plant in Chattanooga, Tennessee, in 2011, but the company said that didn’t mean that’s were its new EV factory would be located. But yesterday, the company announced it will invest $800 million to add an EV assembly line to the Tennessee plant. The EV factory will employ 1,000 new workers and will lead to many more jobs in the area for suppliers. We reported last week that SK Innovation will spend $5 billion on a battery factory outside Atlanta, Georgia. It expects that facility to be in full operation by 2022. Coincidentally (or not) the Volkswagen EV production line is expected to be cranking out cars by 2022. Google says it is a 118 mile straight shot up Interstate 75 from Atlanta to Chattanooga. Hmm. 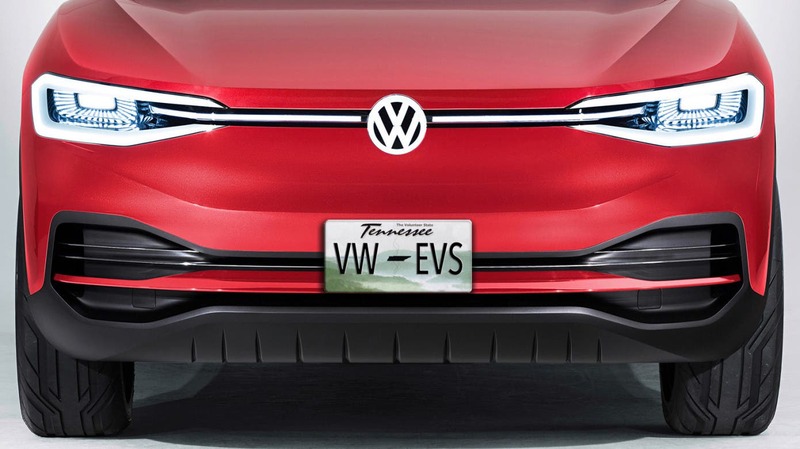 The first electric cars from Volkswagen’s ID division will start rolling off the assembly line in Zwickau, Germany, in early 2020, if everything goes as planned. The first EV headed to America will be the ID Crozz, a crossover utility vehicle, according to TechCrunch. Presumably, those cars will be built in America once the new plant gets up and running. For its part, Ford is hoping Volkswagen will teach it how to make electric cars in a hurry, since Ford is already a decade behind the competition. The two companies may collaborate on autonomous technology and new mobility services as well, according to The Verge. The two companies will build a medium-size pickup truck together as early as 2022 and will also collaborate on building commercial vans, with Volkswagen responsible for a smaller city van and Ford responsible for a larger van with a 1 ton capacity.